Yes, you read that right, these are healthy, no added sugar banana flapjacks. These flapjacks are made with dates, rather than sugar and coconut oil instead of butter to cut that calorie content and provide a more nutritious treat than the average flapjack. Flapjacks are such a strong snack and are also ridiculously easy to make and these are no exception. 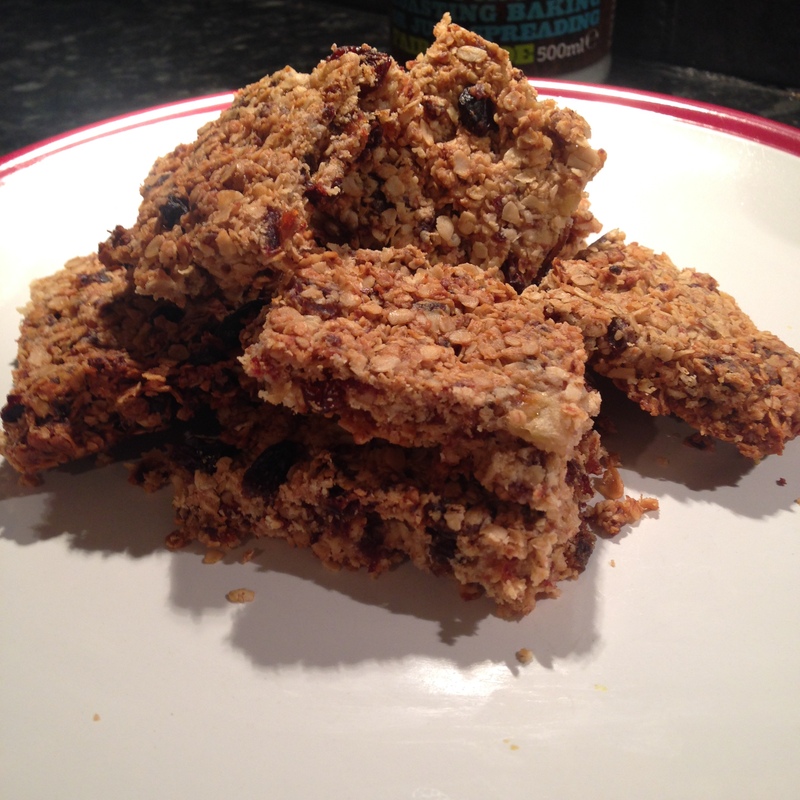 They are perfect to take as an afternoon snack, post work-out treat or as a healthy pudding. In reality though we know that no flapjack is entirely healthy but in my opinion these are as good as they get! They held their shape well and the ingredients bound the oats and banana together perfectly. – Melt the coconut oil in the microwave and then add to a large bowl containing the oats. Add the honey and stir well. – Add the dates, sultanas and mashed banana and stir until well combined. The dates will help the oats to stick together. 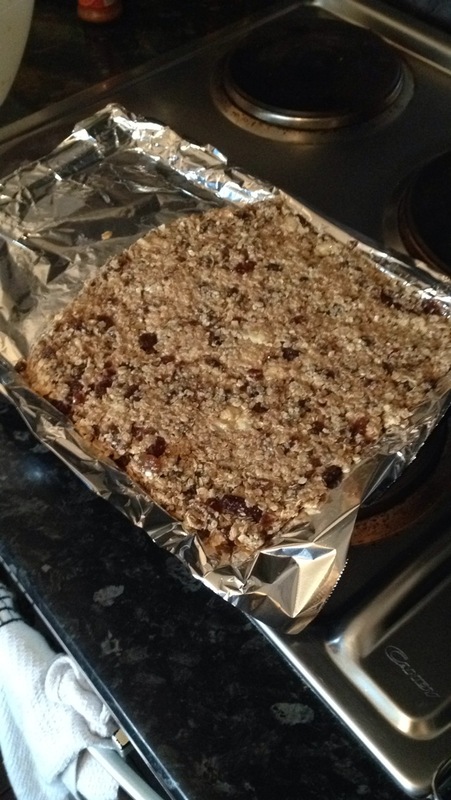 – Line a baking tray with foil and spread the flapjack mixture on to the tray. – Bake in the over for about 20 minutes at 180 degrees or until golden brown. – Leave to cool before cutting in to squares and enjoying with a cup of tea. « Eat your greens at breakfast!